Processing Material: palm oil,palm kernel oil, peanut oil, rapeseed oil, cottonseed oil, sunflower oil, corn germ oil, animal oil etc. 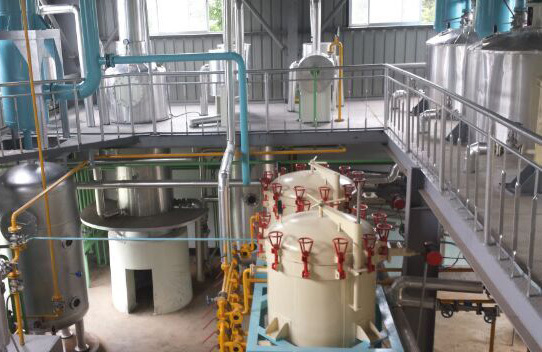 Our small scale oil refinery plant are great choice for small capacity oil refinery machine.The small scale oil refinery production plant can remove phospholipids, FFA, pigment, gums, waxes, off-flavor and other impurities in the oil. Click to see more oil refinery equipment.